That’s what an SEC rule shifting printed and mailed shareholder reports online could save the $19 trln U.S. investment industry. The paper sector is suing to shred the plan, the latest chapter in a saga pitting economic and environmental common sense against D.C. dysfunction. 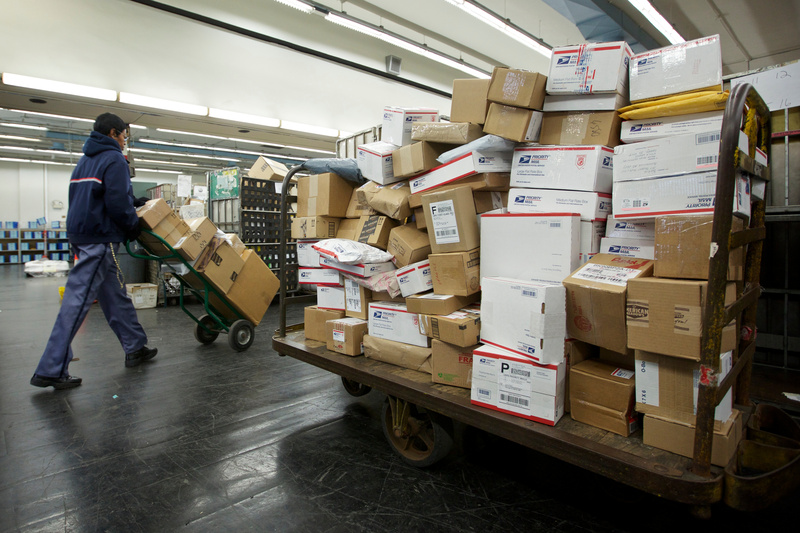 A United States Postal Service (USPS) employee sorts packages at the Lincoln Park Carriers Annex in Chicago, November 29, 2012. Several paper-industry and consumer groups on Aug. 3 filed a lawsuit to block implementation of a new U.S. rule allowing mutual-fund companies to eliminate automatic mailings of shareholder reports and instead post them online. On June 4, the Securities and Exchange Commission approved the measure allowing investment firms to send investors a paper notice of each report’s availability online, instead of mailing the report itself. Investors who want to receive the paper version of the reports have the option to do so at no cost. The Coalition for Paper Options, Consumer Action, the American Forest & Paper Association, the Printing Industries Alliance and Twin Rivers Paper filed their petition in the U.S. Appeals Court in Washington, D.C.
“Despite the concerns raised, which included lack of access to the Internet by vulnerable populations, exposure to online fraud and difficulty of reading reports on mobile devices, the SEC chose to vote on its proposal behind closed doors and ignore feedback from consumer groups and the investing public,” Linda Sherry of Consumer Action said.